A guide for Intermediate-Advanced learners who need to manage people in English. This is a guide for English Language learners (Intermediate – Advanced) who need to manage people and work in English. 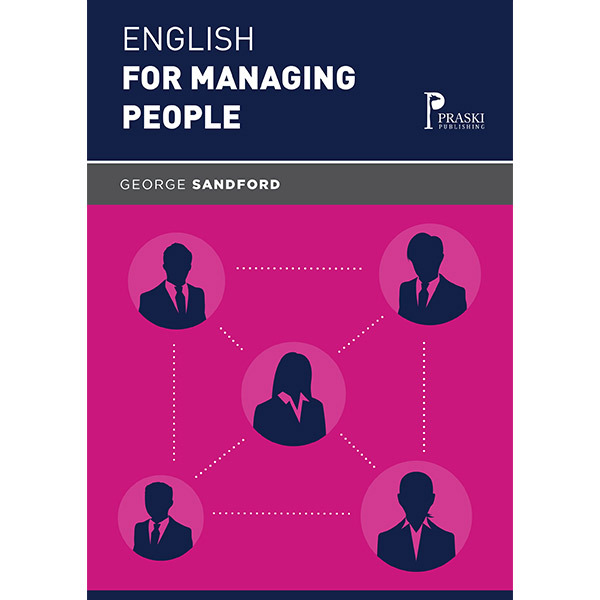 It includes a quiz to test your current knowledge of managing people, lots of vocabulary and glossaries, key phrases for different aspects of communication as well as phrasal verbs and idioms related to managing people. There is also a grammar section giving sample phrases in each tense and a fun end of book quiz. It’s not just an English language book but a practical guide to managing people written by someone who has years of experience in teaching managers of all levels in soft skills. The book is suitable for self-study or for teachers and language coaches looking for managing people teaching material.